G Cookie Joy, LG Optimus P500 and LG GM730 are the latest mobiles by LG mobiles having outstanding features available in India at affordable price. With the launch of these mobiles, the company has foray in Indian mobiles market. All the recently launched mobiles are very attractive and competitor than other same segment mobiles in India. 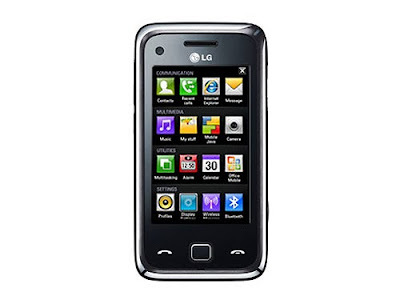 LG Cookie Joy is a very good affordable music mobile from LG that also includes social networking and provide you popular websites access facility. Dimension of the mobile is very and 2.4 inches touchscreen display give it very good look. In the music and multimedia features, it is having Video player, Video recorder, MP3 player, FM Radio and 3.5 audio jack. The LG Cookie Joy has 20MB internal memory and supports up to 4GB microSD car for external memory. The handset is loaded with Games, Oxford Dictionary, Cartoon UI and powered by a standard battery. A 1.3 mega pixel came also has been added in it. This innovative mobile is priced at Rs. 3990. 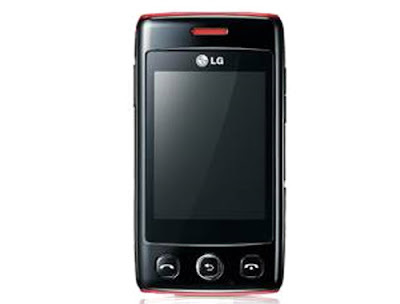 LG Cookie Joy is the major competitor of Nokia 7100 Supernova, Sony Ericsson T270i and Intex IN 4444. The company brings its second mobile LG Optimus P500 which also has gingerbread features. This Android powered mobile runs on the latest v2.2 Froyo operating system that make it fast. The device is blessed with 3.2 inch capacitive touchscreen display with resolution of 320 x 480 pixels that provides clear picture quality. 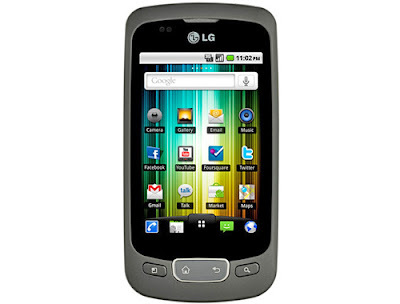 While LG Optimus P500 supports 3 HSDPA, Wi-Fi, GPS with A-GPS network. A digital compass and 3.5mm audio jack also features in it. Many more features also available in it. This mobile is available with price tag of Rs. 12000 in Indian market. This new device is a major competitor of Sony Ericsson K630i, Motorola A1600 andMotorola V8 Luxury. LG GM730 is the LG's latest superb performer smartphone that having crazy features. The mobile runs of windows 6.1 operating system. This new device has 3.0 inche WQVGA TFT resistive touchscreen display with resolution of 240 x 400 pixels. It has internal memory of 289MB and supports up to 16GB microSD card for external memory. A Qualcomm MSM7201A 528 MHz processor also fitted in it. LG GM730 smartphone connects network frequency of GPRS, EDGE, 3G HSDPA 7.2 Mbps and HSUPA 2.0 Mbps. The mobil connects A-GPS Internet. This mobile having an affordable and competitor price tag of Rs. 19000 in Indian market. With this price the mobile compete with Nokia N86, Sony Ericsson G900, Samsung i550 and BlackberryPearl (8100) which are the most popular smartphones in India.